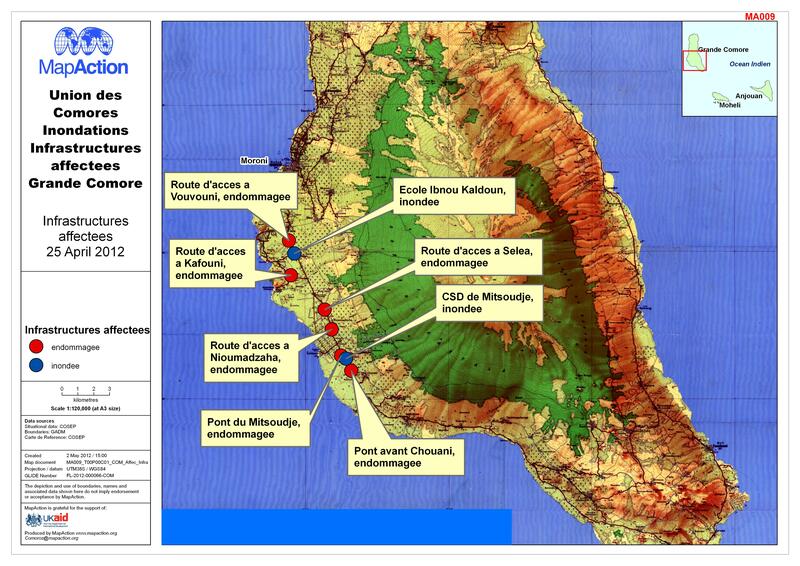 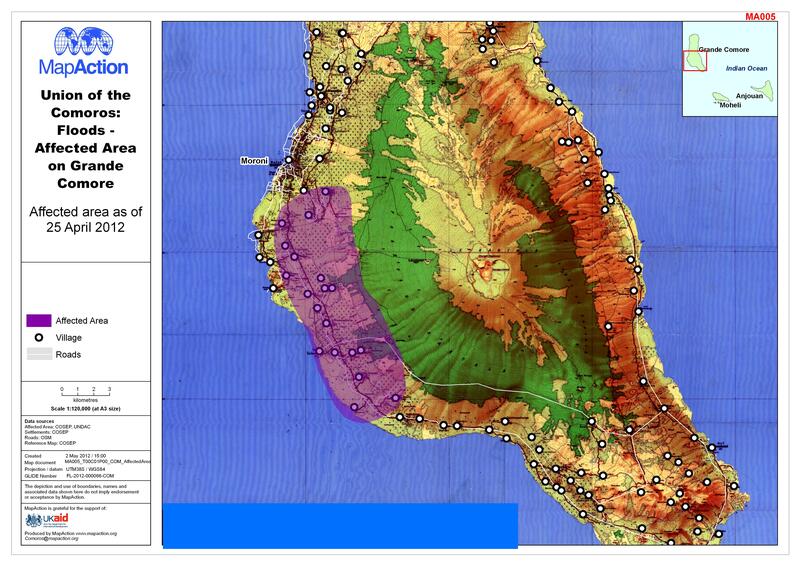 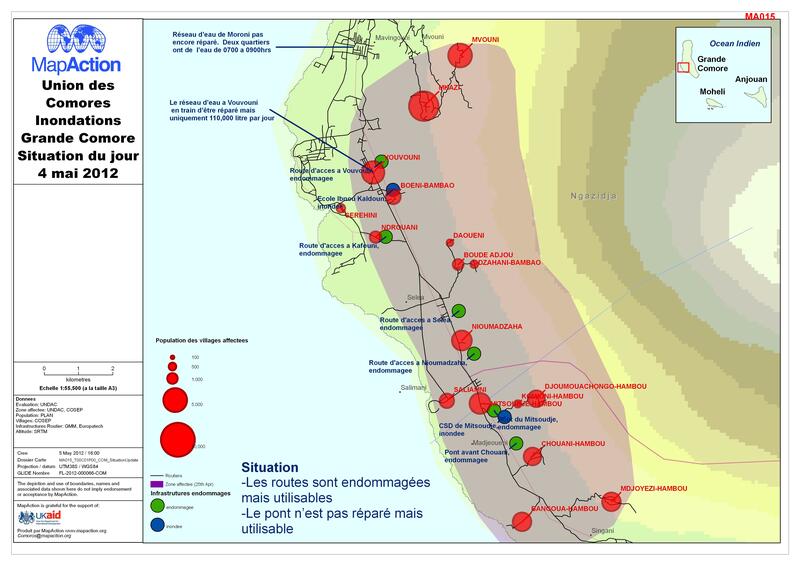 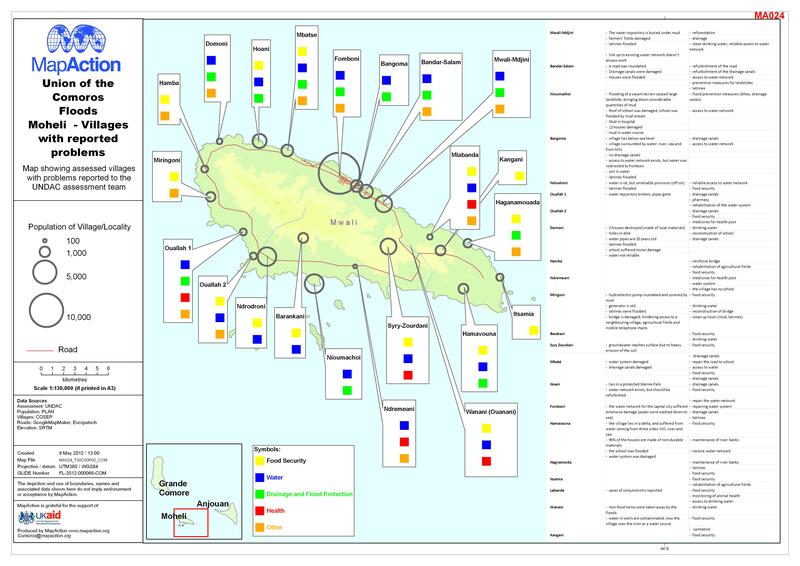 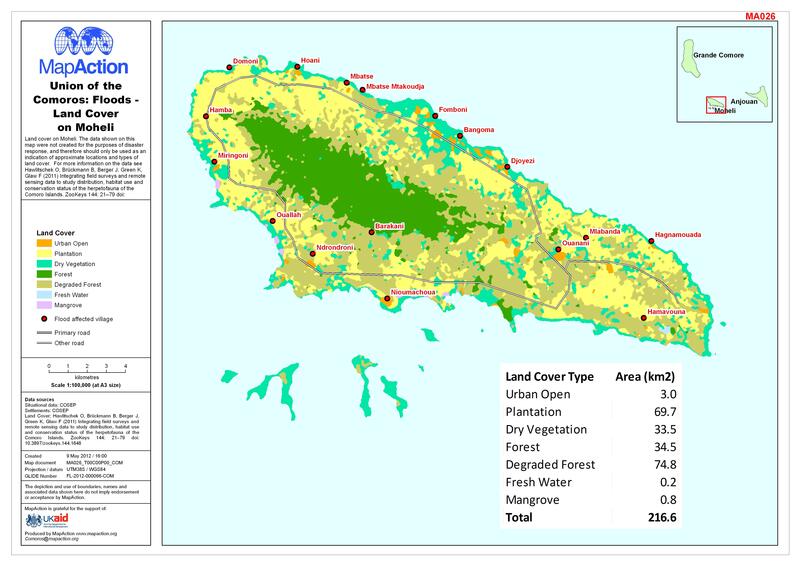 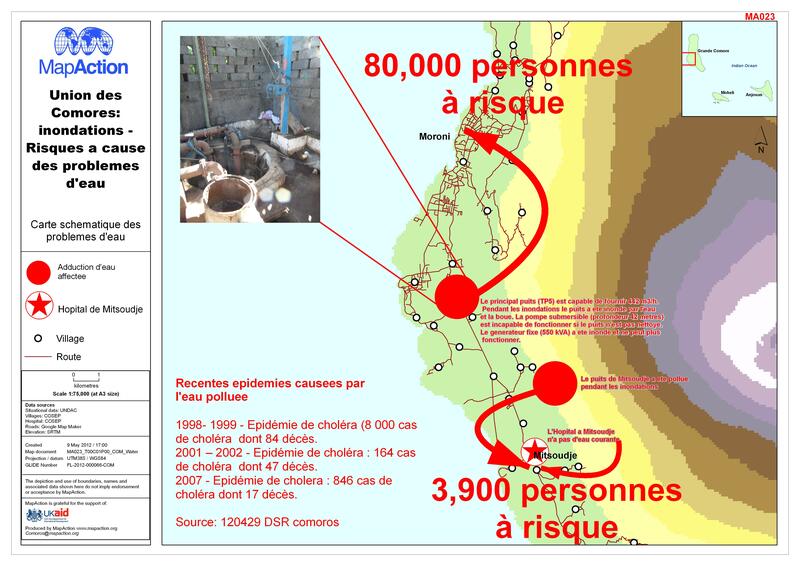 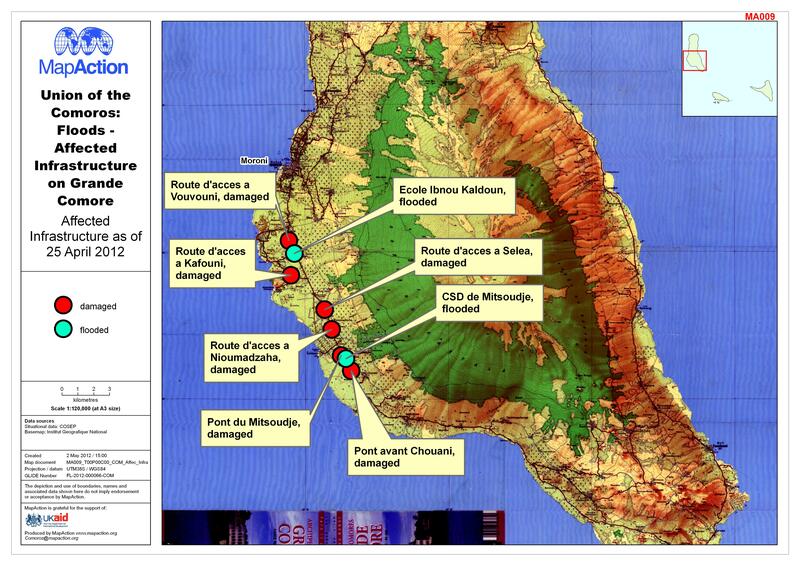 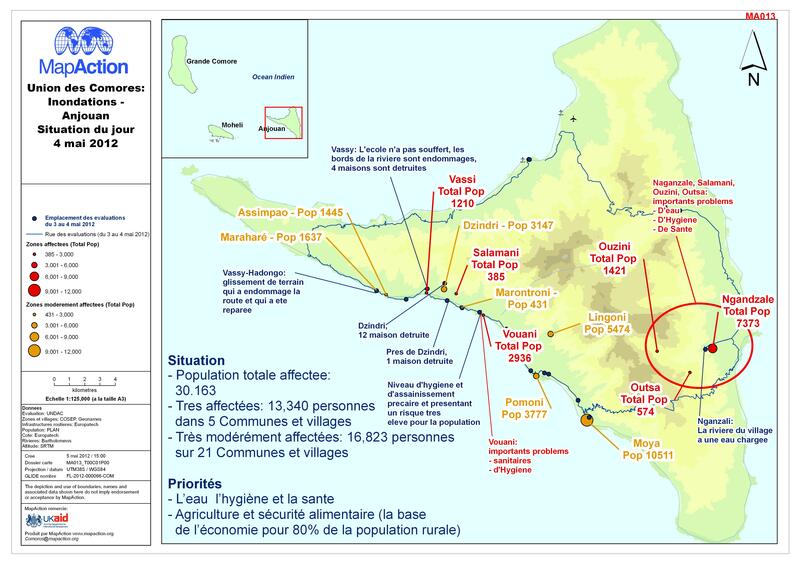 Map showing risks due to water problems, western side of Grande Comore Island (French). 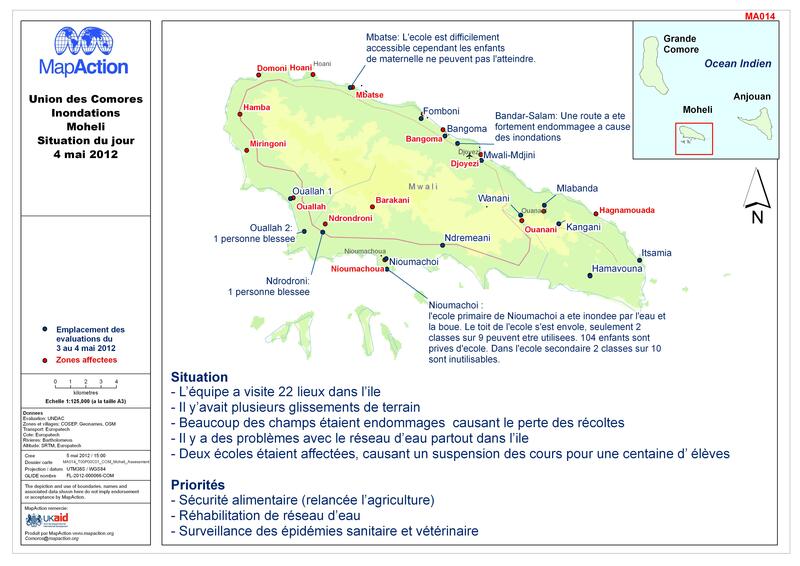 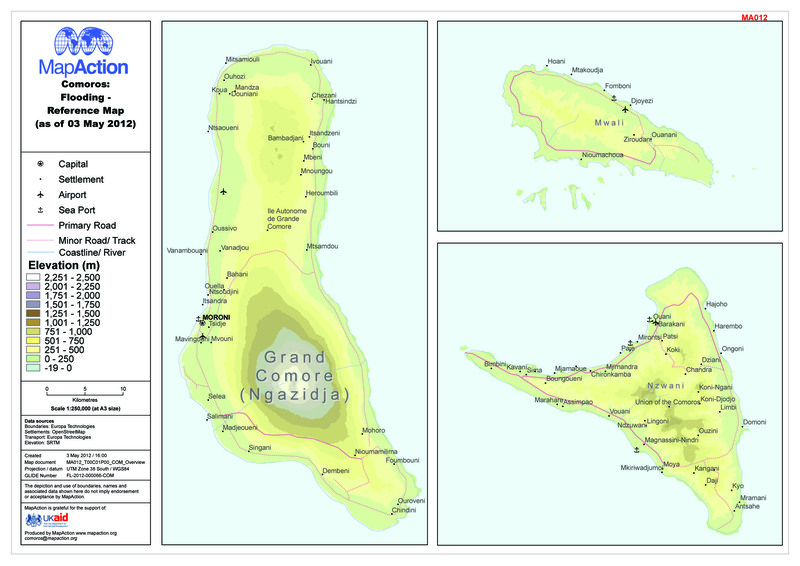 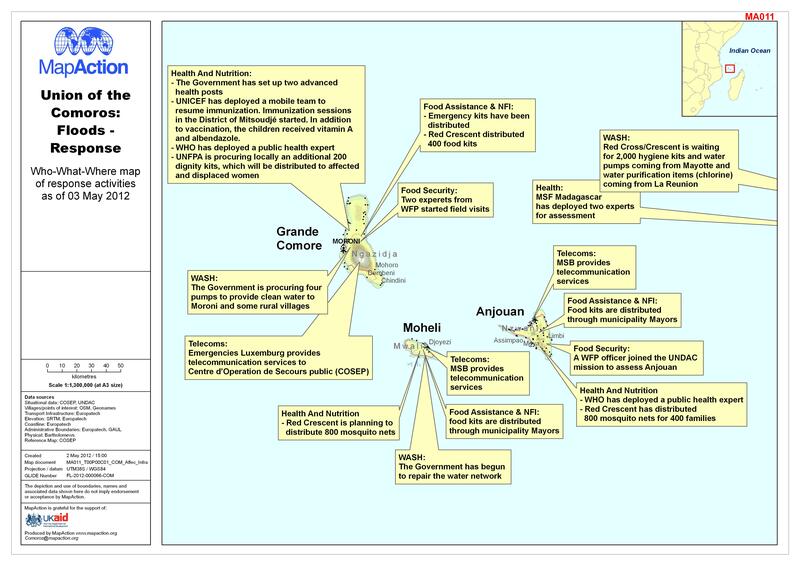 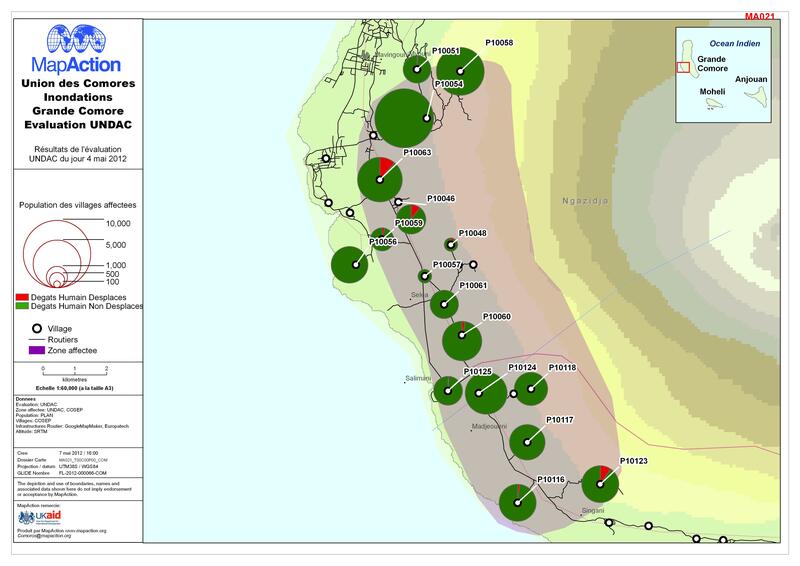 Map showing reported problems in villages on Island of Moheli, Comoros. 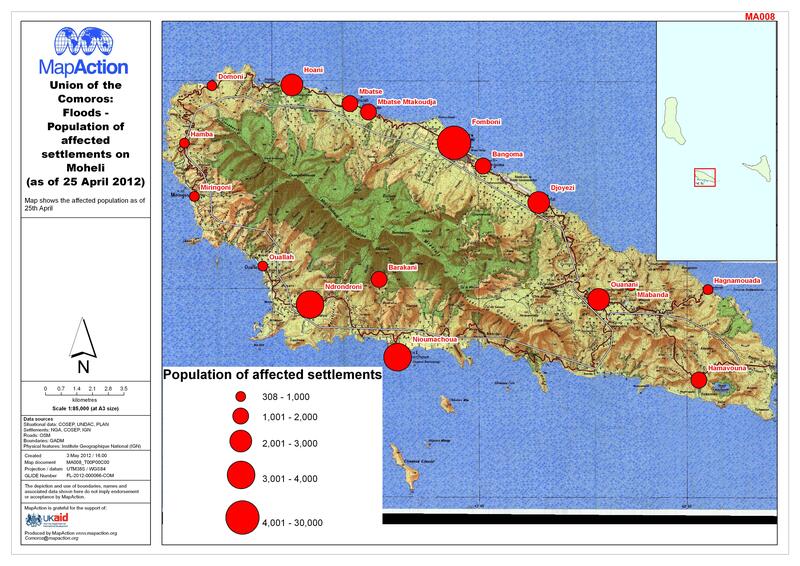 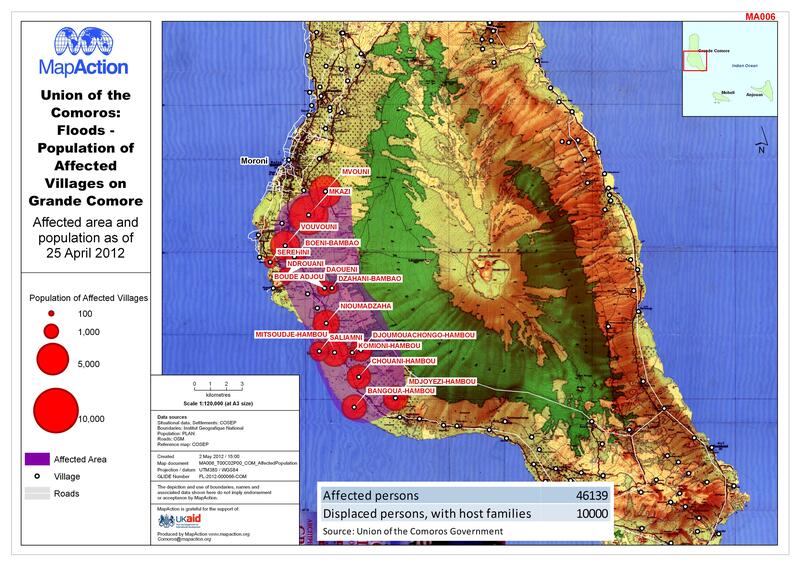 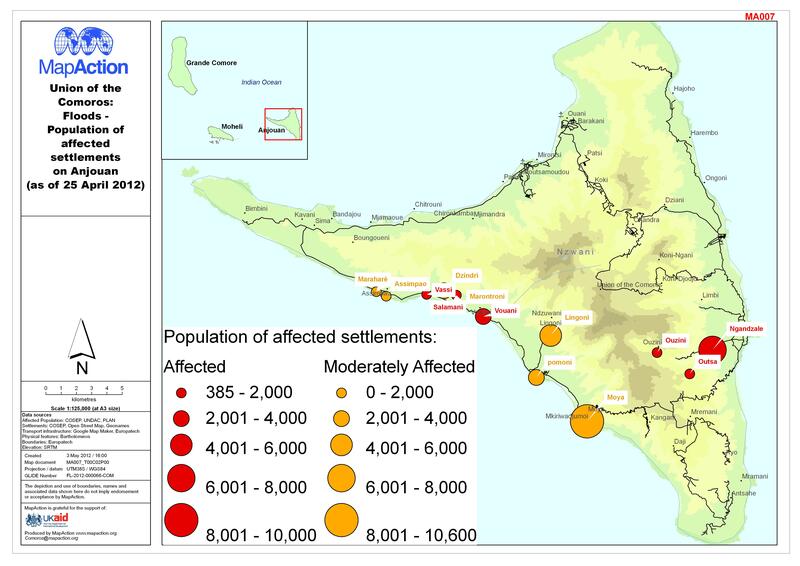 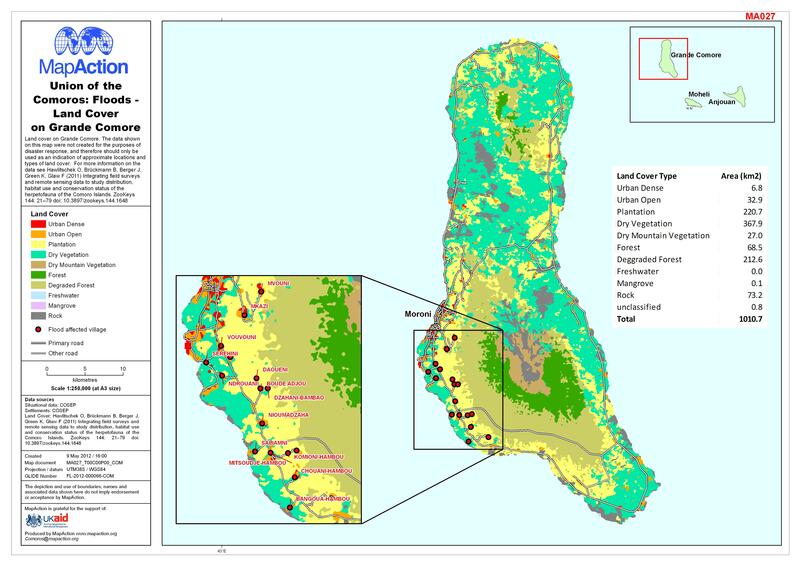 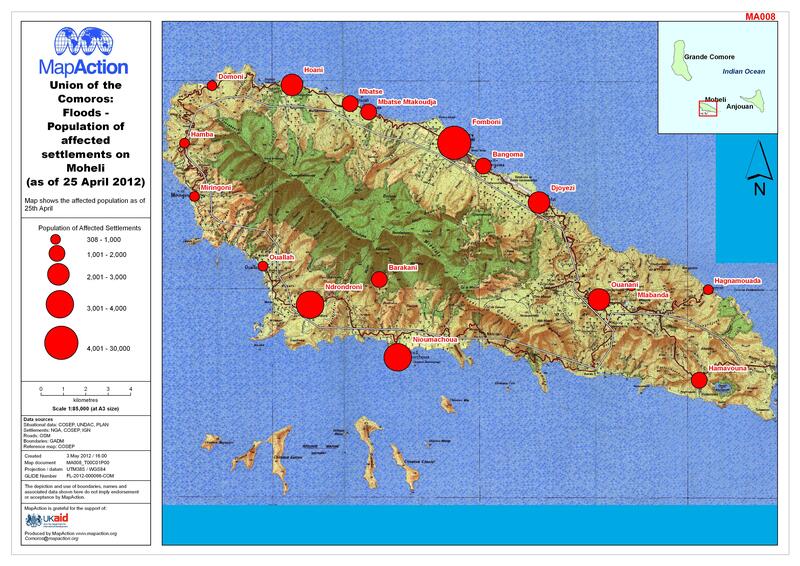 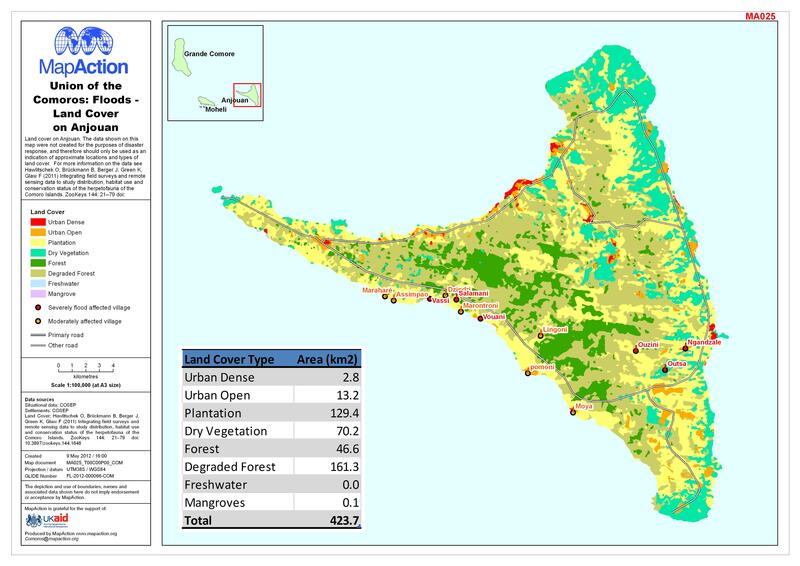 Map shows population numbers in affected settlements on the island of Moheli.